The Arvada Center has announced its seven-play season that includes four diverse musicals, three delightful comedies, a continued collaboration with one of Coloradoâ€™s critically acclaimed theater companies and a regional premiere. Subscription packages range in price from $182 to $400 and go on sale to Arvada Center subscribers and the general public on April 20. Single tickets for the 2012-13 theater season go on sale August 6. Subscribing donors giving at the $150 level or above by June 11 will receive a free guest voucher for each subscription. These vouchers can be used for theater performances in the 2012-13 Season. Orders can be made by phone at (720) 898-7200, online at www.arvadacenter.org/subscribe or in person at the Arvada Center box office. Based on the popular 1988 film starring Steve Martin and Michael Caine, this Tony AwardÂ® winning musical comedy centers on two con men living on the French Riviera. The first is a suave and sophisticated fellow, who makes his lavish living by talking rich ladies out of their money. The other is a small-time crook who modestly swindles women by arousing their compassion with fabricated stories about his grandmotherâ€™s failing health. When the two attempt to join forces the plan fails miserably so they come to an agreement to pull off one great scam where the winner stays and the other leaves town forever. A madcap battle of the cons ensues that will keep audiences laughing, humming and trying to guess the consâ€™ next move to the end! The wildly hilarious â€œnewâ€ farce from the father of American wit, Mark Twain. Jean-Francois Millet, a young painter of genius, is in love with Marie Leroux but in debt to a villainous picture-dealer, Bastien Andre. Andre forecloses on Millet, threatening debtorâ€™s prison unless Marie marries him. Millet realizes the only way he can pay his debts and keep Marie from marrying Andre is to die, as it is only dead painters who achieve fame and fortune. Milletâ€™s plan was flawed from the start – once heâ€™s declared dead he canâ€™t collect on his fortune. The romp is on as he pursues his passion for painting, his fortune and the woman he loves. The traditional holiday favorite that will put you in the spirit of the season when its magic comes to our Main Stage Theater. This musical version of the joyful and nostalgic classic movie includes memorable songs such as â€œItâ€™s Beginning to Look A Lot Like Christmasâ€, â€œPinecones and Hollyberriesâ€ and more. As we get caught up in the hustle and bustle of the season, we all need a little break to remember that miracles do happen. Miracle on 34th Street is pure family entertainment – make it part of your holiday celebration. marriage while scheming ways to have Charles join her in the afterlife. One of the most beloved musicals of all time tells the story of author, actor, tax collector Miguel de Cervantes, imprisoned by the Spanish Inquisition and awaiting a mock trial by a jury of his fellow prisoners. To save his lifeâ€™s work from seizure and sure destruction, Cervantesâ€™ defense will be to act out a play with his fellow prisoners. The play – his creation – Don Quixote de la Mancha recounts the tale of the mad knight who believes the wrongs of the world can be corrected as he jousts at windmills with his trusty sidekick, Sancho Panza and his beloved Dulcinea in the quest for â€œThe Impossible Dreamâ€. Horton Foote, Pulitzer PrizeÂ® winning writer, penned a comedy about family, money, power and greed. At odds over the fate of their dwindling inheritance, several generations of the well-to-do Gordon family must confront their disreputable past as they grapple with an uncertain future. Watching these self-absorbed, endearingly dysfunctional brothers, sisters, aunts, uncles and servants is lots of laughs as it challenges everyoneâ€™s take on their entitlement. Will they face possible ruin and indignity together or take their chances and go their separate ways? The whodunit musical comedy Curtains features a dazzling musical score by the legendary team, Kander and Ebb (Chicago, Cabaret) and was nominated for eight Tony AwardsÂ®, including Best Musical, Best Book, and Best Original Score. The chief sleuth, Lieutenant Frank Cioffi, with a secret affinity for musical theater, investigates the murder of a Broadway-bound theater companyâ€™s tremendously untalented star on opening night. Could the culprit be the hard-edged lady producer, one of the recently divorced songwriting team, the egomaniacal British director, or the seemingly sweet ingÃ©nue? Curtains will have you on the edge of your seat – laughing! February 22 & 23, 2013, 7:30 p.m.
February 24, 2013, 2:00 p.m.
a very shy man is mistaken as a foreigner who doesnâ€™t speak English. Like a fly on the wall, the mysterious foreigner overhears more than he should about the scandalous and damaging revelations of the resortâ€™s inhabitants. The nonstop hilarity of the play builds to an uproariously funny climax where events go awry for the â€œbad guysâ€ and the â€œgood guysâ€ emerge triumphant. In its 36-year history, the award winning Arvada Center for the Arts and Humanities has grown to become one of the nationâ€™s largest multidisciplinary arts centers, devoted to all aspects of the arts and generously supported in part by the City of Arvada and by the Scientific & Cultural Facilities District (SCFD). The Arvada Center is located at 6901 Wadsworth Blvd. and provides free parking for all its patrons. For more information go to www.arvadacenter.org or call 720-898-7200. Denver regional arts and cultural community, manages an annual budget of $10.8 million and has considerable latitude and discretion in advancing and advocating for the Arvada Center. The Executive Director leads a dedicated 40-member team, including 350 passionate volunteers and arts patrons. The Executive Director advises and informs the City of Arvada, the City Council of Arvada and the Arvada Council for the Arts and Humanities on strategic issues affecting the Center and works closely with the Arvada Council to ensure the Arvada Centerâ€™s sustainability and success. â€¢ Lead, communicate and inspire a compelling and integrated arts vision to the Arvada Centerâ€™s staff, civic leaders, regional stakeholders and local citizenry. â€¢ Serve as chief external relations officer of the Arvada Center by building regional and community awareness to strengthen partnerships and collaborations with commercial, civic and cultural organizations. â€¢ Develop and oversee a longterm strategic revenue plan to ensure the soundness of the organizationâ€™s financial structure as well as accumulating an annual surplus. â€¢ Continue to develop the Centerâ€™s fundraising capacity with individual donors, sponsors, corporations and other partners, assuring the growth and sustainability of its revenue base. â€¢ Lead the development of strategies for increasing performance subscriptions, target audiences and overall attendance. â€¢ Provide advice and guidance to the Arts Council on how to continue its effectiveness in elevating fundraising capacity through strategic Board development and building a culture of philanthropy. â€¢ Provide appropriate leadership and build effective partnerships to the Arvada Centerâ€™s collaborations with state and regional organizations and venues, including raising its stature and profile within the Scientific and Cultural Facilities District. â€¢ Communicate and interact effectively with leaders from government, quasi-government, news media and civic and community groups, including artists, vendors and citizens. â€¢ Present information and participate in discussions with the City Council, the Arvada Council for the Arts and Humanities, businesses, cultural organizations, community partners, citizen groups and other individuals on city-wide issues. â€¢ Maintain enriching and productive relationships with the Arvada Center, the City of Arvada, and the surrounding arts community and make efforts to understand changing trends and demographics within the region. â€¢ Lead and help establish a key position as a respected member of the greater Denver cultural and arts community. â€¢ Work collaboratively with key city and civic leaders to ensure that their educational programs are well-integrated among the organizationâ€™s original mission and strategic efforts. â€¢ Support the Cityâ€™s strategic planning, business strategy and economic development with expert knowledge and counsel in arts management practices, planning and procedures, including various city committees as needed. â€¢ Act on behalf of the City Manager in absence, including assuming the duties of the City Manager, and represent the City Manager at meetings of professional organizations, public agencies, civic organizations and other official functions when directed. â€¢ Keep abreast of trends and activities in the local, regional and national arts communities and maintain a thorough knowledge of available regional and community arts resources. â€¢ A strong commitment to advancing the Arvada Centerâ€™s vision, mission, core values and goals. â€¢ A minimum of seven to ten years of senior level experience in leading successful arts and cultural institutions, including experience with contributed revenue, strategic planning, nonprofit management, performance management, board relations, fundraising, marketing and communications. â€¢ An MBA, MPA or masterâ€™s degree in arts management or nonprofit management would be advantageous. â€¢ Ability to interact effectively with citizens, municipal leaders and government personnel in a positive and cooperative manner. â€¢ Demonstrated ability to bring strategic thinking and leadership in understanding fundraising potential and program dynamics to support a cause or mission. â€¢ Proven success in leading, managing, motivating and inspiring high performing teams with an open, approachable leadership style. â€¢ Excellent budgetary and financial forecasting and analytical and management skills, including an ability to manage and interpret contracts and legal documents. â€¢ Strong interpersonal, listening and motivational skills with an ability to generate enthusiasm among all major community and regional stakeholders. â€¢ Possess experience in marketing, advertising and public relations activities, including driving growth in ticket sales, audience participation and associated revenues. â€¢ Excellent communication skills with an ability to inspire, including strong written, verbal and presentation skills. â€¢ Ability to travel as necessary and support Center program and activities; the incumbent is required to obtain or hold a valid Colorado driverâ€™s license. Electrifying Brilliance! “Chess” is a fresh hit! Set against the backdrop of a chess tournament, this rock opera uses the game of chess – with all of its power plays, manipulations, and sacrificial pawns – as a metaphor for the contemporary conflicts in love and life as well as global strife and peaceful coexistence. With lyrics by Tim Rice (Jesus Christ Superstar and Evita) and music by Benny Andersson and Bjorn Ulvaeus (Mamma Mia! ), this regional premiere of an all-new version is rich with dance, penetrating tempos, and the chart-busting pop hit One Night In Bangkok. 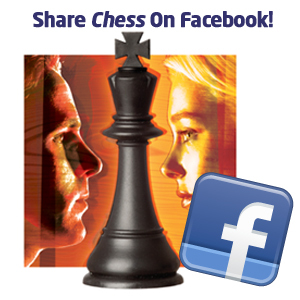 *Tim Rice allows for a broad creative license when using the London version of Chess. Director Rod A. Lansberry plans to maximize this creative opportunity which will result in a unique production of Chess that has never been seen before. Fri & Sat, 7:30 p.m.
Tues, Wed, Thu, 7:30 p.m. The Arvada Center is proud to employ local and regional artists and craftsmen who build every aspect of our productions – from the props like gold-gilded crowns, to hand-sewn costumes, to the sets like the one featured in this video. Take a look at our Facebook photo album “The Making of….Chess, A Muscial” and learn how it all comes together for opening night! Kelsey Whipple of Westword comments that the set designed by Arvada Center resident Set Designer Brian Malgrave “verges on optical illusion.” Click here to read more about Artistic Director Rod Lansberry talk about the game of chess and how to make it musical.